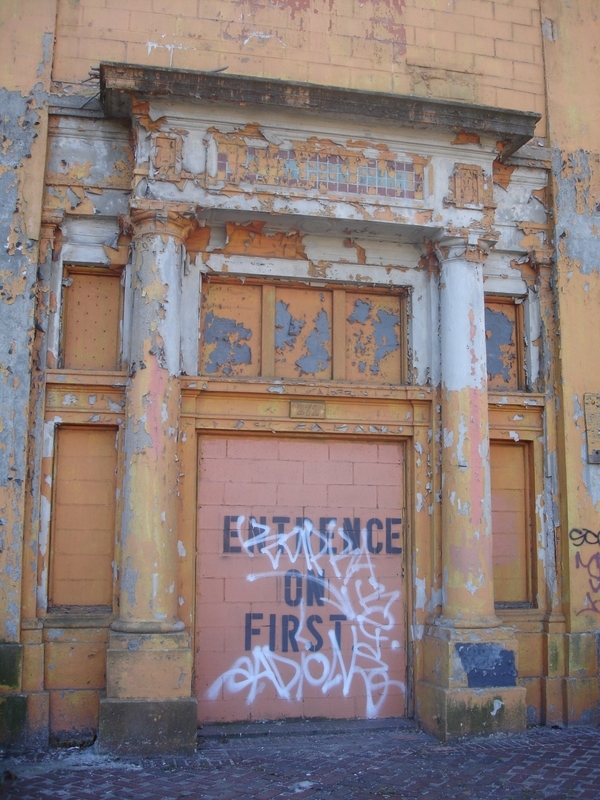 Next time I'm in Newark I'll need to check out the library and do some more research! UPDATE: The Lelands 2015 Winter Catalog arrived just before our holiday trip to Florida. The auction started Dec 2015 and ran through Jan 9, 2016. 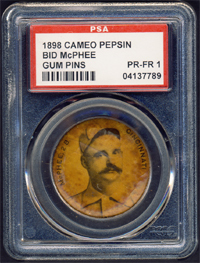 One item caught my eye - an amazing 1898 Cameo Pepsin Gum pin of Bid McPhee. 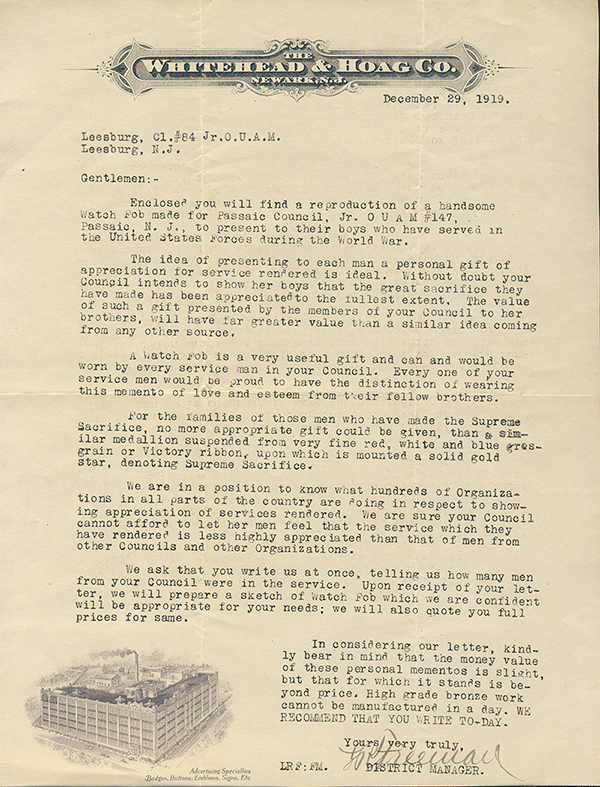 Just a few weeks earlier I purchased a 1918 Whitehead & Hoag letter to add to my collection of companion pieces. 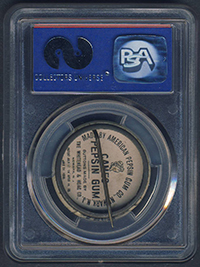 The PSA 1 pin pictured above was purchased in 2008. It was missing the paper on the reverse so it stayed on my wantlist as an item to be upgraded at some point. The opportunity came up with this auction. It only took three bids - my initial bid at the onset of the auction, another at approximately 9pm the day of the auction and another around midnight. I crashed at 2:15 thinking I was safe as the high bidder. I awoke the next morning to find I was right and the happy owner of a fantastic upgrade. 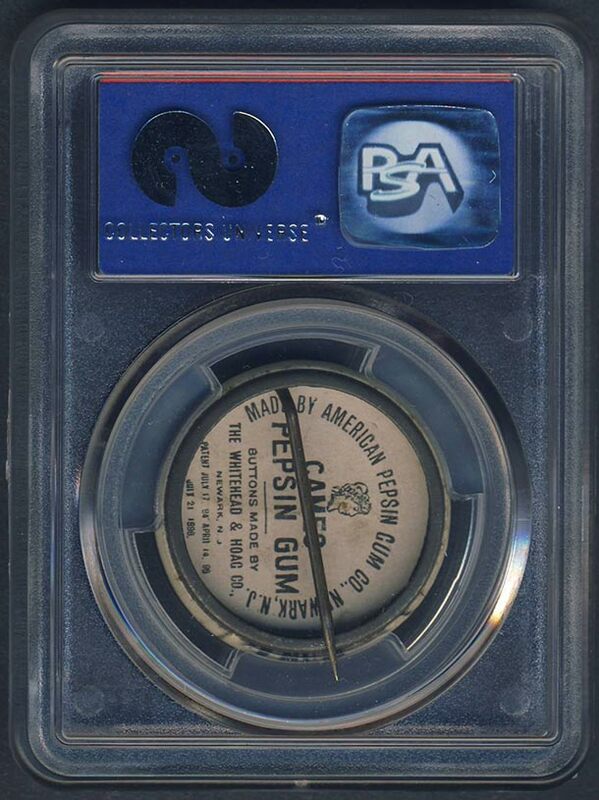 Upon receipt I'll be sending it off to PSA for authentication and selling my other example to recoup some of the cost. 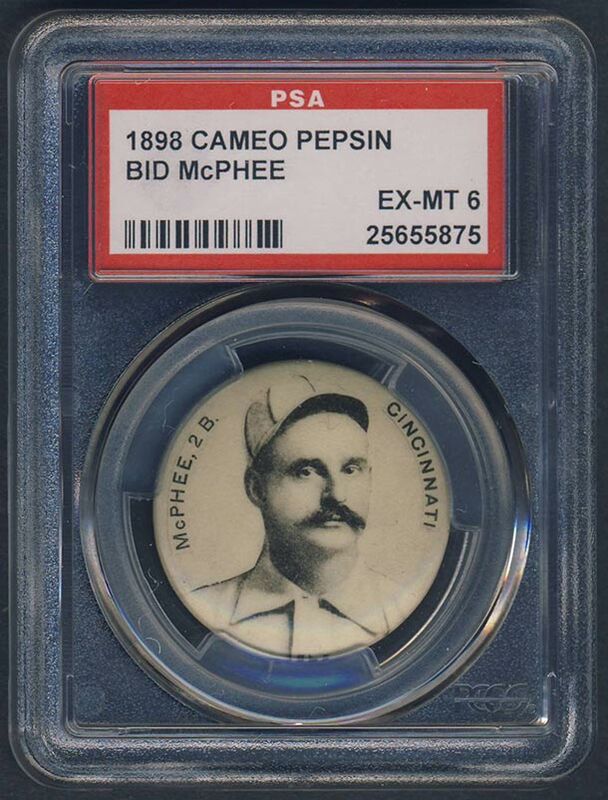 Cameo Pepsin Gum pins have a special place in the world of baseball collecting. 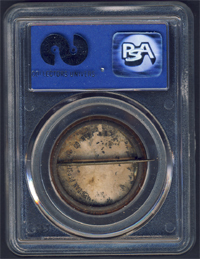 In addition to being the very first celluloid baseball pin set, this set represents the only significant issue of any type dating from the late 1890s, featuring over one-hundred known players (with new discoveries no doubt yet to be documented), including many players which appear in no other set. 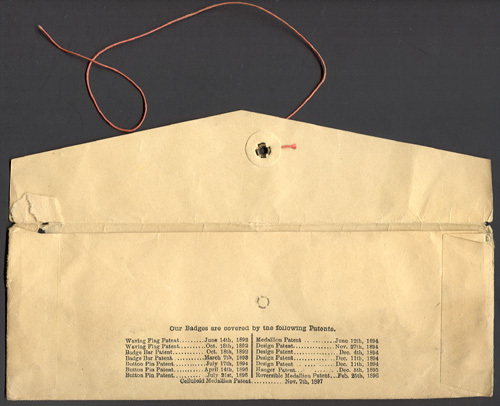 Pepsin Gum pins are as significant to baseball in the late 1890s as E107s are in documenting the players of the first few years of the twentieth century. 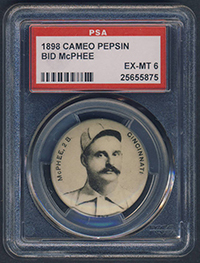 Cameo Pepsin Gum pins are, in fact, considerably rarer than even E107s, yet have received far less attention from advanced collectors, primarily because they are so rare that few have ever even considered attempting to collect the set.Cameo Pepsin Gum pins are one of the rarest and most significant of all baseball pinbacks. 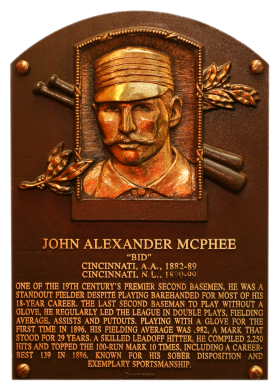 Issued as premiums with Cameo Pepsin Gum, this set is to baseball pins what Old Judges are to baseball cards. 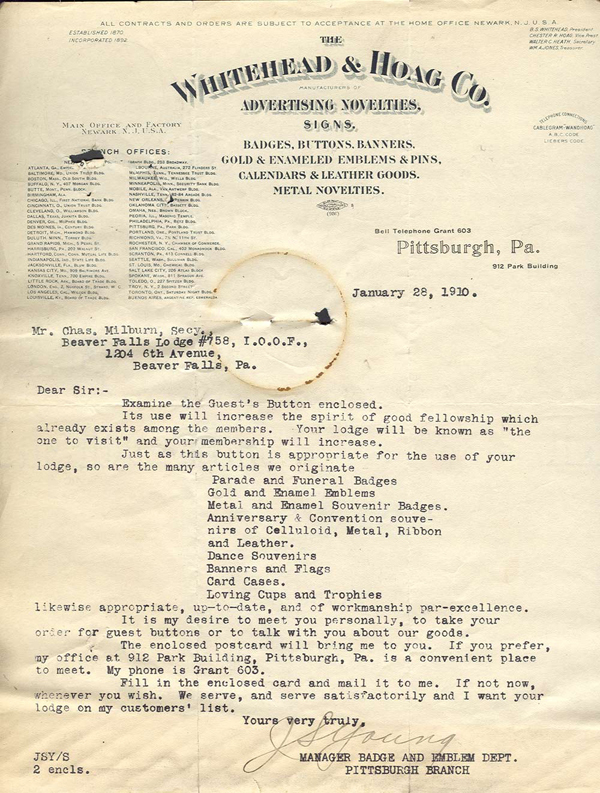 The extraordinary importance and rarity of Pepsins is just beginning to be recognized by collectors. 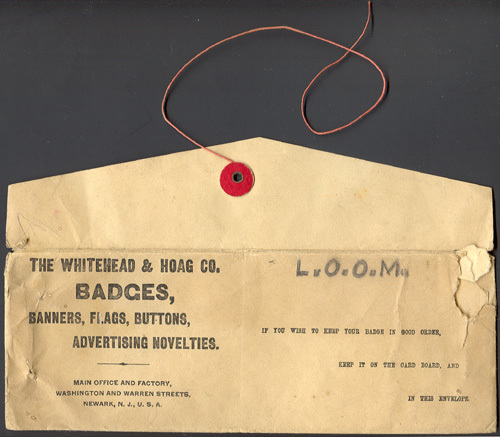 Cameo Pepsin Gum Pins were produced by Whitehead & Hoag. 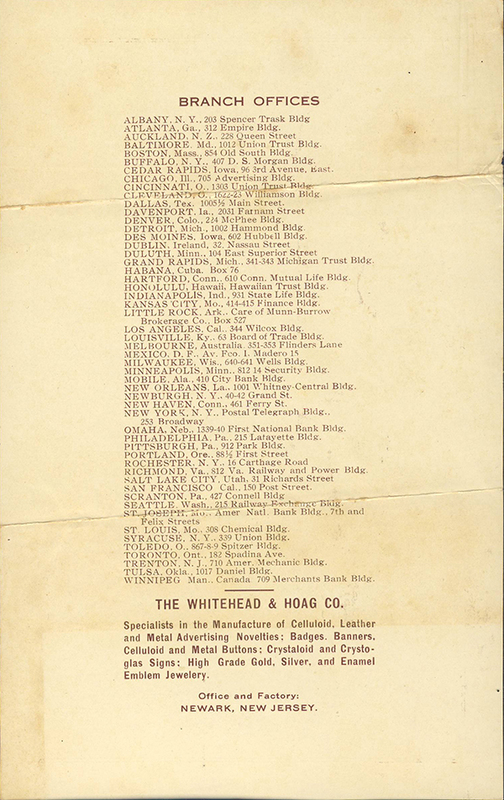 Whitehead & Hoag LLC was one of the largest advertisement firms in the world at the turn of the century. Offices were distributed around the world in more than 30 different cities. Their customers included government firms and other large consumer product companies including Boeing, Guinesss, Budweiser, Bass Ale, Starret, Bartels, Worlds Fair, and hundreds more. 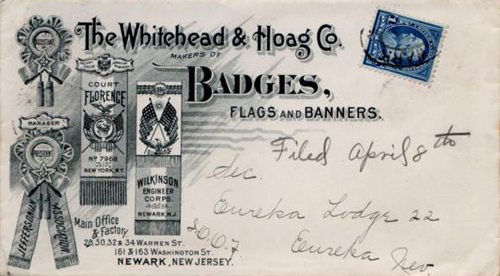 The company was first organized under New Jersey laws in 1892 with a capital of $500,000. 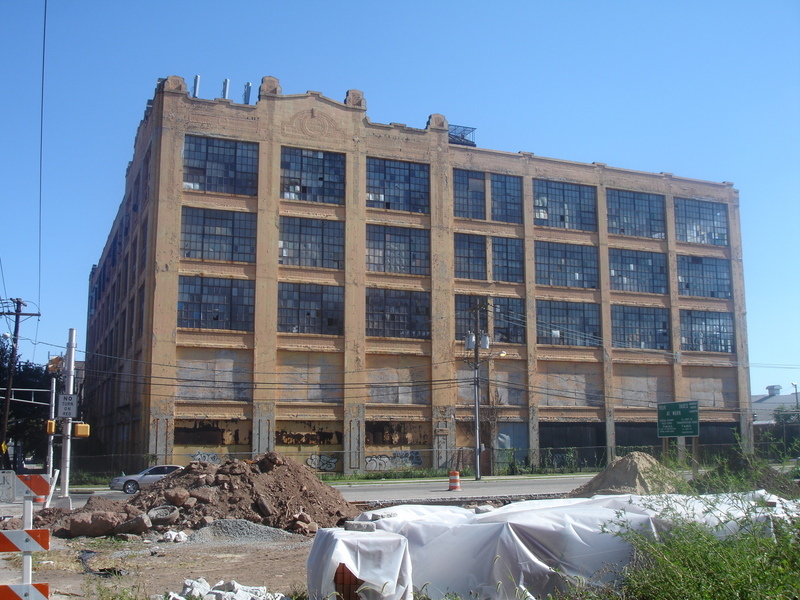 Due to heavy sales, in 1899 the capital stock was increased to a million dollars, and the plant at Washington and Warren Streets underwent a expansion project. 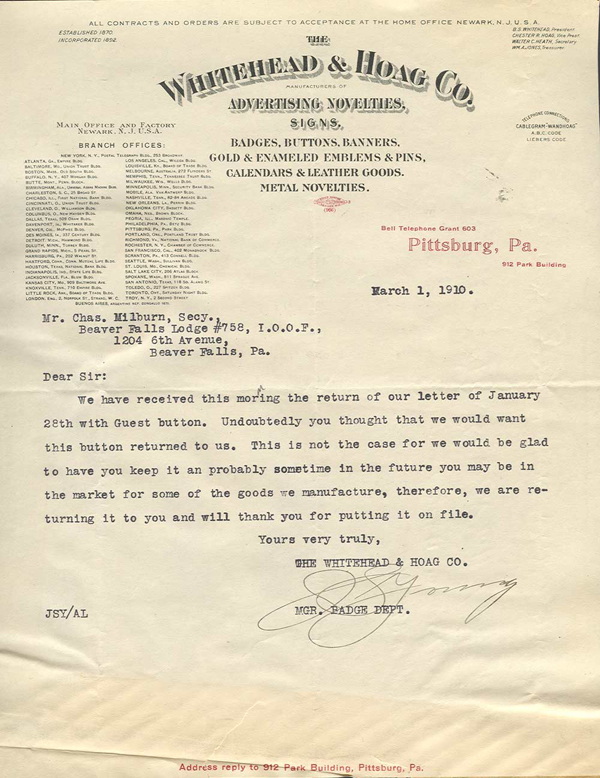 By this time, the facility included more than one hundred thousand square feet with several hundred employees to manufacture and sell buttons, badges, banners, flags and a large variety of advertising novelties using their patented celluloid technology (process for using celluloid film to laminate pinback buttons- July 17, 1894) including metal, ribbons, silk and woven fabrics. 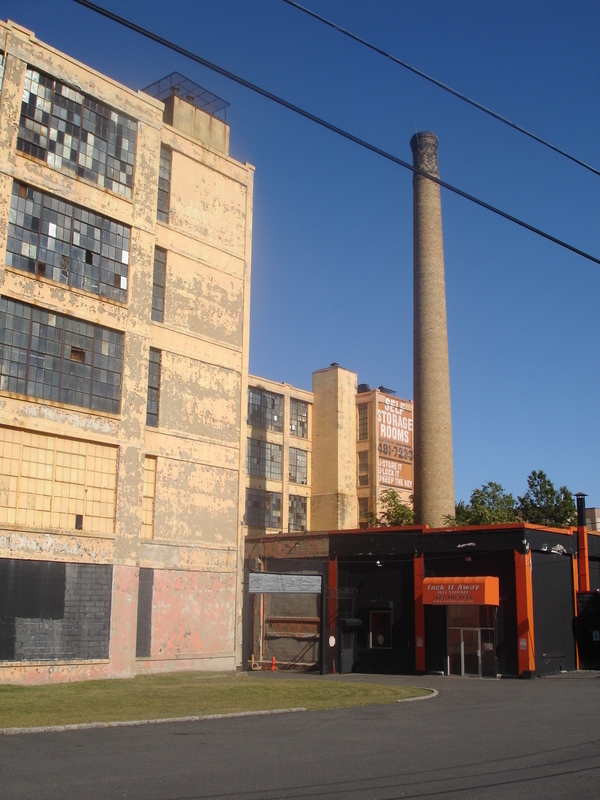 At the turn of the century, the plant was one of the largest of its kind in the world. Their products were being distributed around the world. 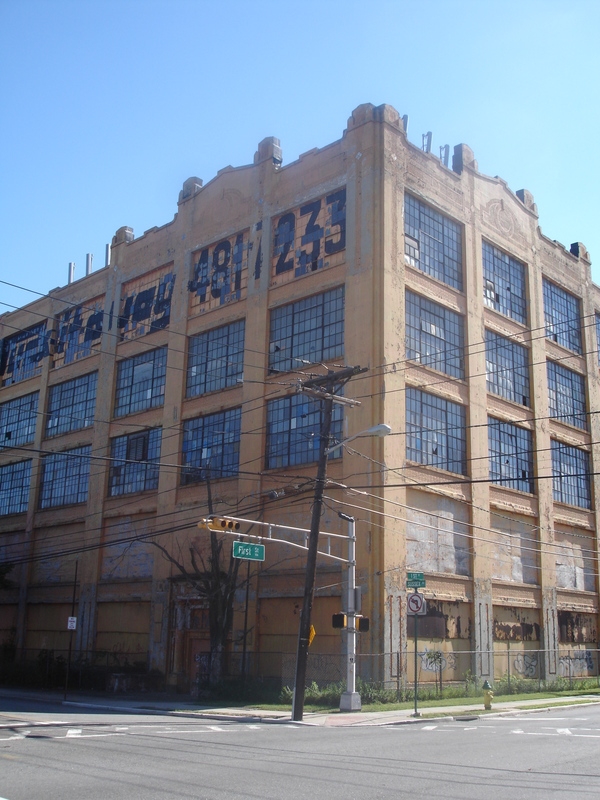 The main office was located at 272 Sussex Ave in Newark, NJ, currently a Tuck-It-Away self storage facility. 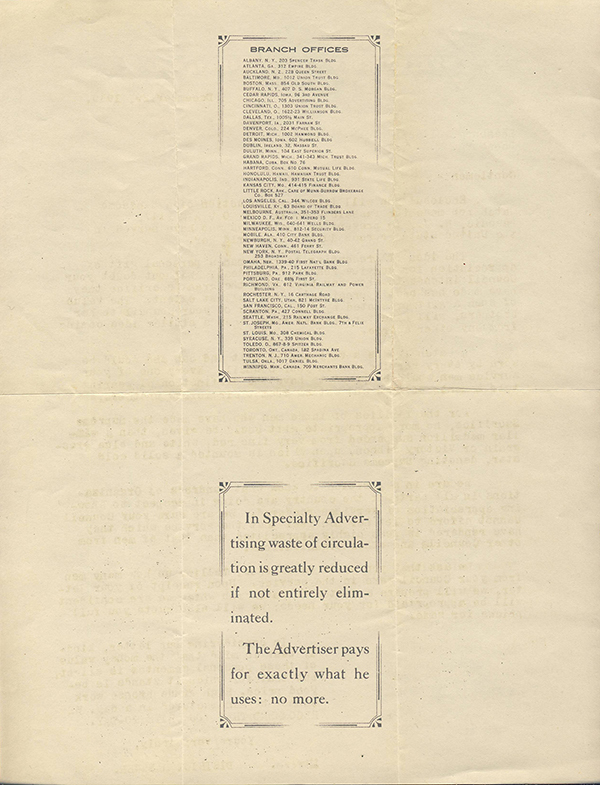 The 1898 pins produced by Whitehead & Hoag to advertise Cameo Pepsin gum have a sepia player portrait photo at center, with name and team at top left and right. 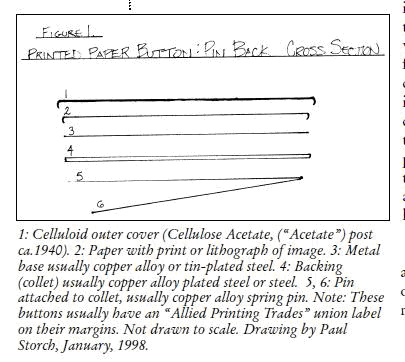 It is difficult to find pins with clear pictures as they tend to darken over time. 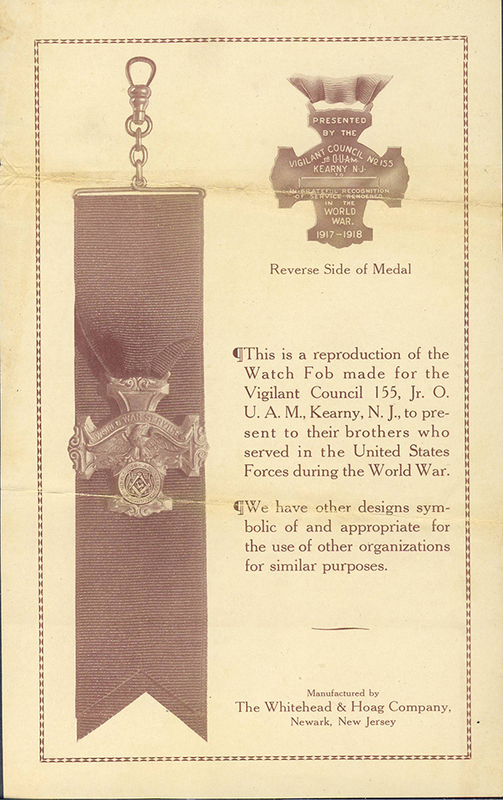 Pins were issued with a paper inset in back advertising the gum, but like the McPhee shown above, they often are missing or damaged.